Over the last week, Bitcoin has traded down 22.5 per cent against the US dollar. Bitcoin Cash traded 5.6 per cent lower against the dollar and now trades at $1,000.13 or 0.11525900 BTC. One Bitcoin can be bought for $8,772.58 (£6,332.66) on popular exchanges including Korbit, Gemini, Zaif and Bibox. The cryptocurrency has a market cap of $148.36billion (£107.10billion) and around $5.28billion (£3.81billion) worth of Bitcoin was traded on exchanges in the last 24 hours. Experts claim cryptocurrencies are seeing a hit due to concerns over regulation. Speaking on CNBC News, Bob Pisani explained how the news of a new ruling from New York could change the future of the crypto world. He said: “Cryptocurrencies have seen more fallouts today for fears of regulations. Bitcoin took a hit on Wedensday after the US Securities and Exchange Commission (SEC) announced it will require digital asset exchanges to register with the federal agency. 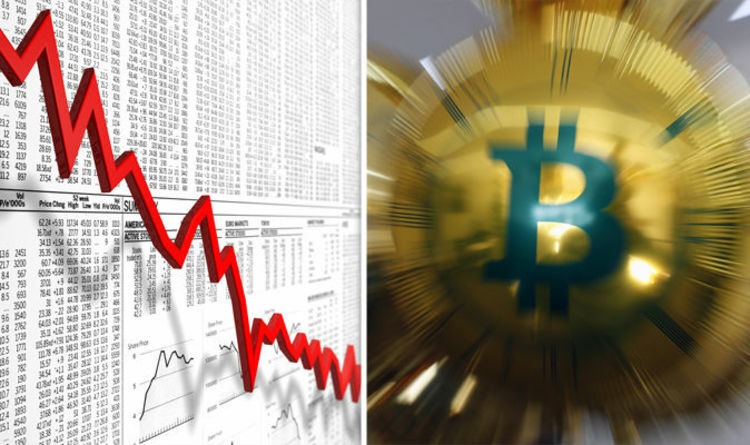 Prices plunged by more than $1,000 in the space of an hour, falling from $10,673.03 at 4.40pm GMT to $9,481.45 by 5.22pm GMT on Wednesday, according to CoinDesk. On Thursday the volatile token attempted to claw back its losses, kickstarting trading at $9,906.80 and peaking at $10,030.63 after 1am. But as of 7.12am GMT on Friday March 9, Bitcoin is exchanging hands for $8,775.01– down 5.64 percent. The SEC announcement on Wednesday sparked fears of tighter cryptocurrency regulation, forcing traders to pull back. According to the agency, digital assets moving through exchanges need to abide by federal laws, to protect investors’ best interests. The SEC said in a statement: “If a platform offers trading of digital assets that are securities and operates as an ‘exchange,’ as defined by the federal securities laws, then the platform must register with the SEC as a national securities exchange or be exempt from registration. “The SEC staff has concerns that many online trading platforms appear to investors as SEC-registered and regulated marketplaces when they are not.